Stop viruses and malware before they get to your computer with the award-winning Defender Pro 2015 Total Security. Defender Pro helps you remove old threats and prevent new ones. ANTIVIRUS AND PC PROTECTION: Detect and remove viruses, spyware, randomware and other threats with our award winning antivirus technology. FIREWALL CONTROL CENTER: Continuous monitoring and protection during all your online activity, providing real time threat alerts whenever needed. 24/7 TOLL FREE TECH SUPPORT: Defender Pro Live Agent provides you with instant access to our knowledgeable staff that will solve your issues. PRIVACY AND SECURITY: Protect yourself and your family from identity thieves, data theft and spyware with our real time internet security scan engine. OPTIMIZE YOUR PC: The deep system optimization process ensures that your PC's are always running at peak performance. 10+ YEARS OF EXPERIENCE: With millions of satisfied customers worldwide, Defender Pro is the leader in security solutions that guarantee the safety of home and business user information. 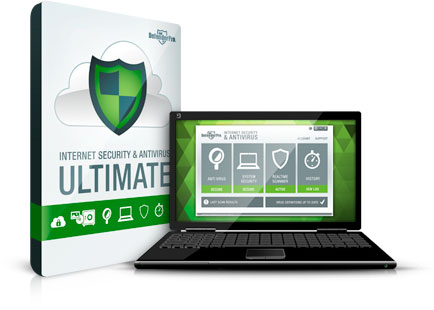 Defender Pro Ultimate - Registration - SafeCart: DEFENDER PRO INTERNET SECURITY AND ANTIVIRUS. Defender Pro Total Security gives you the essential online security solution you need for your home or small business. - Care-free socializing, - Cloud scanning, - Safe and secure web browsing, - Identity protection, - ... and comprehensive computer protection! Stop viruses and malware before they get to your computer with the award-winning Defender Pro 2015 Total Security. Defender Pro helps you remove old threats and prevent new ones. Basket Cloud Storage is an online backup solution that offers its users unlimited space to store all kinds of important data. Basket Cloud Storage Solution - Pre-Purchase - SafeCart: Basket Cloud Storage is an online backup solution that offers its users unlimited space to store all kinds of important data. DEFENDER PRO ULTIMATE SECURITY - Protect 5 PCs for 2 years! Defender Pro Ultimate Security provides you with the online security solution you and your family need for ultimate protection. Anti-Virus. Anti-Spy. Firewall. PC Protector. Privacy Controls. And much more!! DEFENDER PRO TOTAL SECURITY - Protect 3 PCs for 1 year! Defender Pro Total Security gives you the essential online security solution you need for your home or small business. Care Free Socializing. Cloud Scanning. Safe and Secure web browsing. Identity Protection. And Comprehensive Computer Protection.